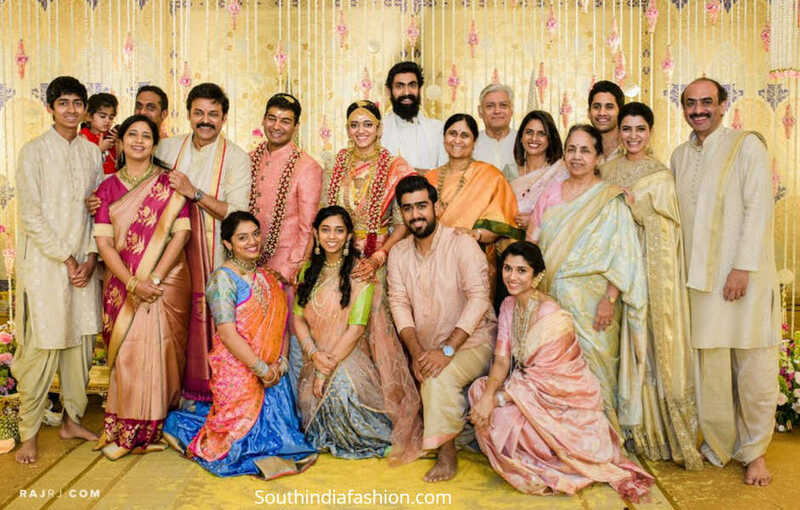 Real Brides Actor Venkatesh Daggubati’s Daughter Aashritha’s Wedding! 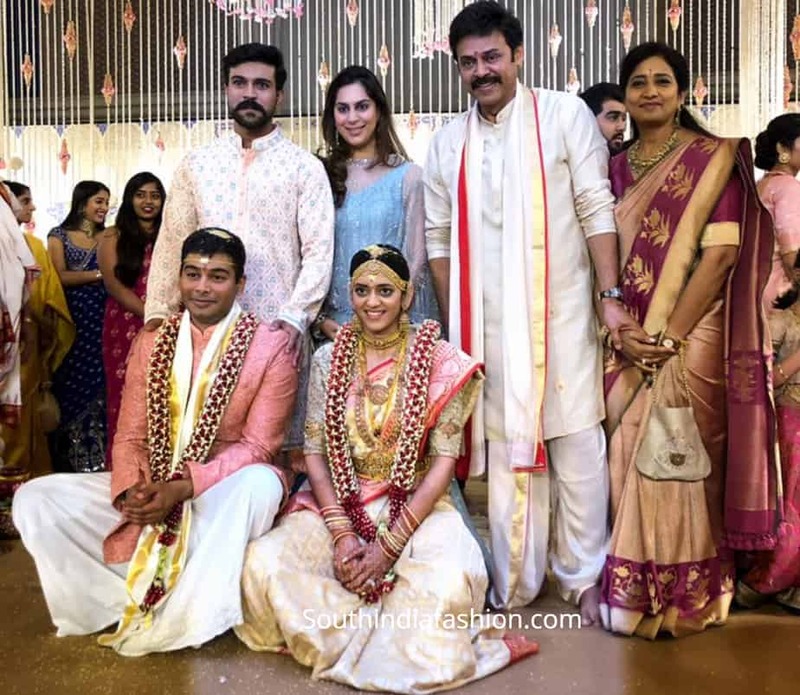 Actor Venkatesh’s daughter Aashritha Daggubati got married to her boyfriend Vinayak Reddy in Jaipur. 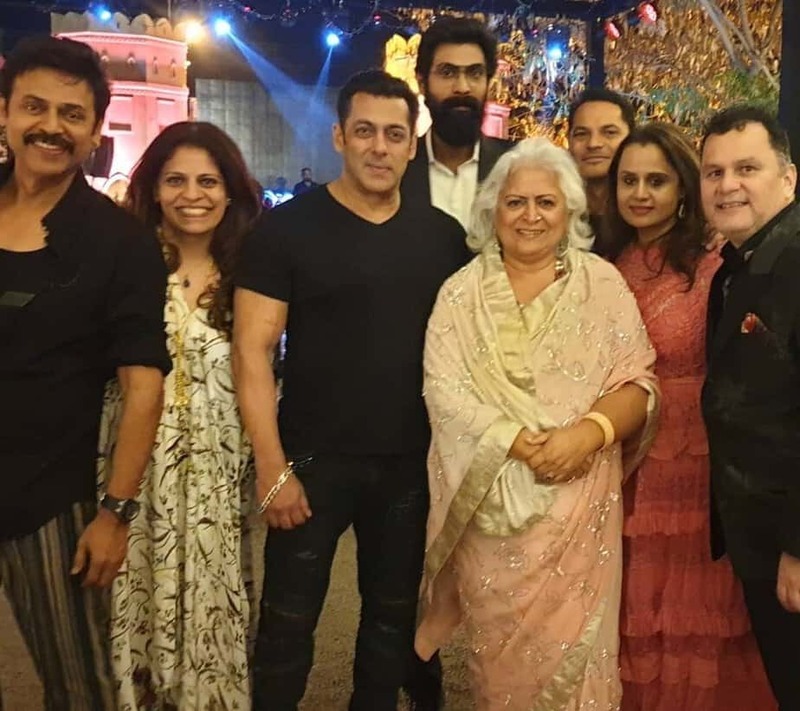 Vinayak Reddy is the grandson of R Surender Reddy, Chairman of Hyderabad Race Club. 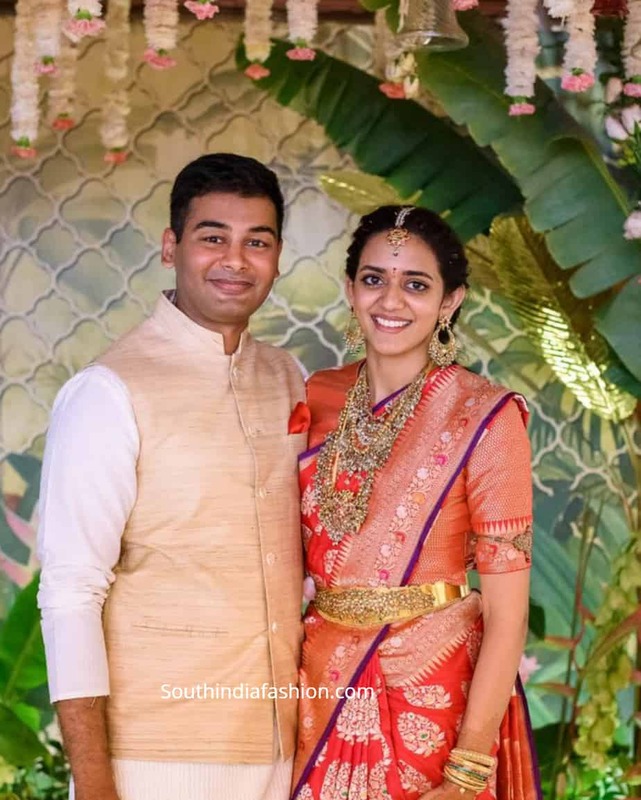 For her wedding, Aashritha wore a beige and gold Kanjeevaram saree paired with matching elbow length sleeves embroidered blouse. Traditional gold jewellery complemented her look. 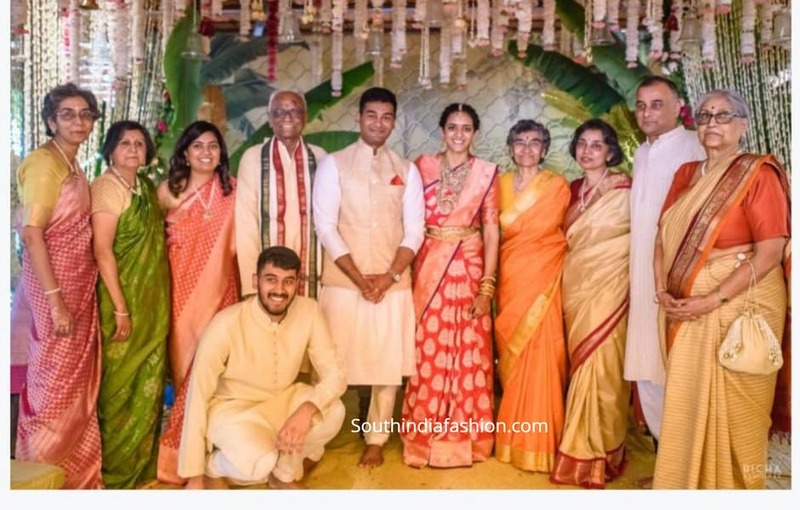 Vinayak opted for a peach color sherwani paired with white dhoti. 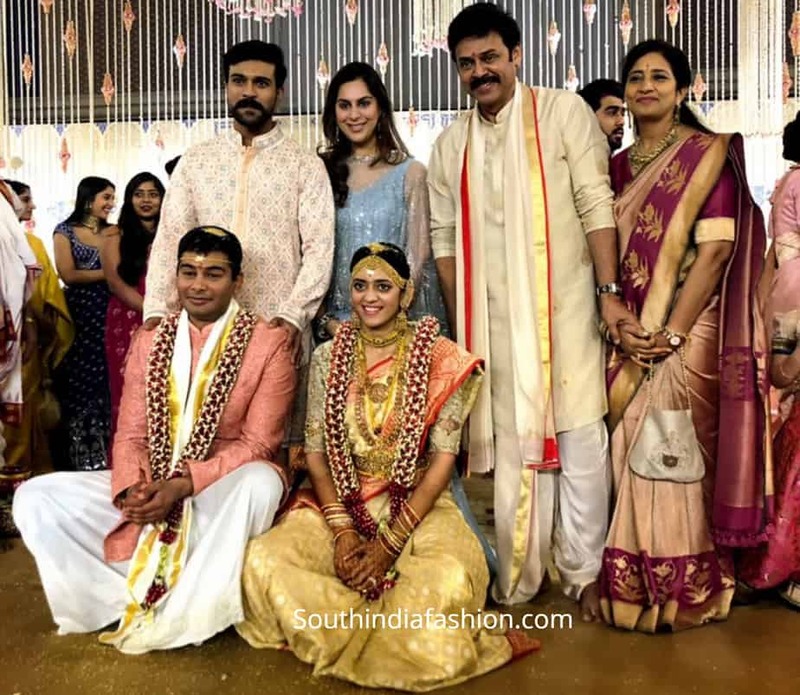 Venkatesh looked handsome in a cream color kurta and dhoti while his wife Neeraja was seen in a peach and purple combination banarasi silk saree! 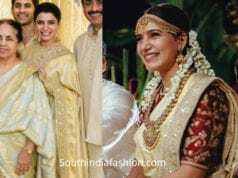 Samantha Akkineni at Ashritha Daggubati’s wedding!